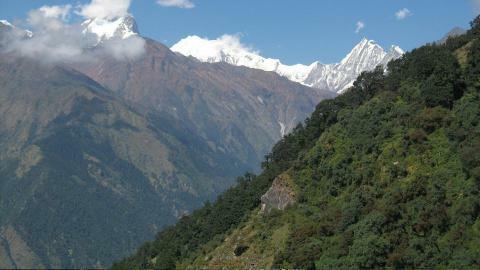 Trek in the Ganesh Himal region are intended to familiarize you with a wide range of mountains and fascinating scenes. This trek is suggested by numerous trekkers however, it is not as famous as Annapurna and Everest. The Ganesh Himal Region lies in Dhading, Gorkha, Rasuwa and Nuwakot regions. This unexplored region is hidden between the well-known places of Langtang National Park and the Manaslu Conservation Area Project. The Ganesh Alps is named out of appreciation for Hindu god Ganesha, child of Lord Shiva and Parvati. Chosen perspectives in the region offer panoramic view of mountains Wildflowers flourish, and waterfalls beautify the rich hill landscape in a land favored with wide range of cultural, geographical and biological diversity. Most rewarding are the magnificent Ganga Jamuna(twin waterfalls), Kalo, Seto and Ganesh kunda, hot spring and Tripurasundari temple Outstanding perspectives highlight the heavenly Himalaya toward the north. Most noticeable is the Ganesh Himal Range - a group of peaks among the most alluring of the entire Himalayan range. Ganesh Himal can be clearly seen from Kathmandu valley and it is divided into many parts like Ganesh Himal I, Ganesh Himal II, Ganesh Himal III and Ganesh Himal IV. It lies just north –west from the Kathmandu valley. There are many trekking trails in this region. Trekkers can do shorter to longer trek and easy to difficult trek. The Ganesh Himal region is populated mainly by Tamang Gurung, Ghale, and to the north, Brahmin, Chhetri, Dalit, Newar and Chepang at the lower elevations in the south. Visitors are warmly welcomed by locals that make the trip even better. Namaste treks presents you Ganesh Himal region treks keeping in mind about the trekker’s need and desire. We hope to serve you and make your trip a lifetime memory.